Perhaps you, like most people in relationships, think that the relationship will get better with time - or maybe the problems are too painful to face. However, you’re now ready to reach out for couples counseling or marriage therapy. The good news is that couples therapy and marriage counseling is highly effective. 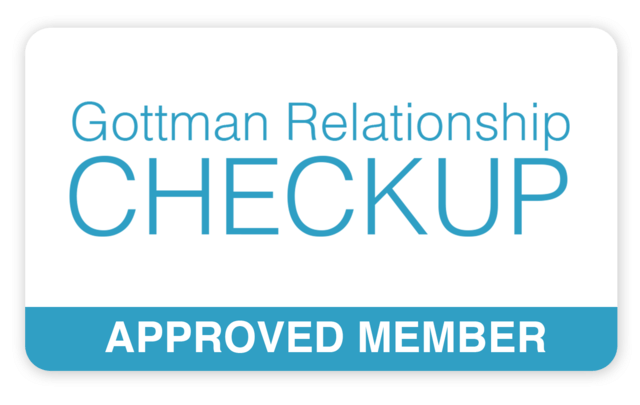 70-75% of couples successfully meet their goals in couples counseling and are overwhelmingly inoculated against relapse when using one of the research-based methods our couples counselors receive post-graduate training in: Emotion Focused Therapy (EFT) and the Gottman approach. Our couples therapists engage in post-graduate training in empirically-supported couples counseling approaches to most successfully serve you. Couples counseling works by first helping you both understand your current conflict and the meaning it holds for each of you. The conflict and disconnection that your relationship is experiencing in the present sometimes originates from each partner’s pain, perhaps from a previous relationship or even early childhood family experiences. Some of your current conflicts may have older, familiar themes. Our Baltimore couples counseling experts can help you both discern these themes, how they are causing interference in your relationship and begin the process of letting them go. Our couples counselors and marriage therapists in Baltimore then work to identify your current responses to conflict. You’re doing the best you can at the moment. Your current responses to conflict represent your best attempt to make a connection or bring calm to the relationship. However, you might feel like it’s not enough. It may feel like your good intentions are getting lost and adding to your frustration. The good news is that with some modifications, each of you can begin to respond to conflict in a healthier, more effective manner right away with marriage therapy, marital therapy, or couples counseling. Moving you beyond current ways of engaging to more effective ways of reaching and respecting each other is the goal of couples counseling, marriage therapy and marital therapy. Ultimately, couples counseling, marriage therapy and marital therapy can help you decrease your conflict and increase your connection. Learning new ways of communicating means that you can become unstuck. When your relationship is stressful, the rest of our life can feel overwhelming. For that reason you also might be curious about individual therapy. Or maybe you’re not yet married and wonder if our premarital counseling services might better meet your needs. Learn more about each of these services below. We will guide you through better management of anxiety, depression as well as relationship and career difficulties. Choosing a life together is a big step. Learn how our assessment and counseling can prepare you for a lasting, meaningful relationship together.